The NYPD has increased security around sensitive areas in New York City after a lone-wolf gunman shot and killed at least 58 people at a country music festival in Las Vegas. 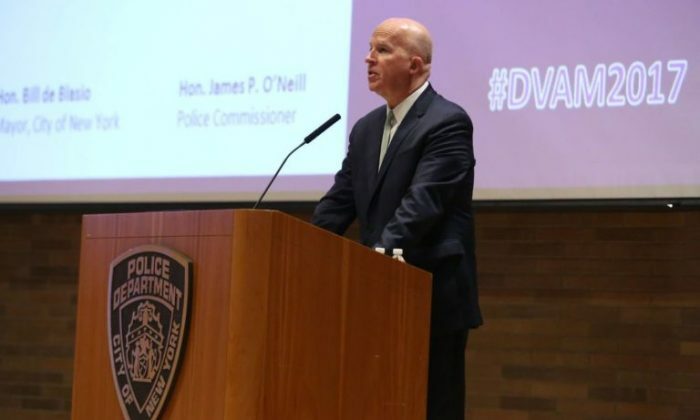 “There are no direct threats to New York City but we’ll certainly be maintaining our vigilance,” he said, according to an NYPD press release. Additional counter-terrorism units have been deployed in Times Square and other strategic locations, CBS New York reported. On Sunday night, a man on the 32nd floor of the Mandalay Bay Hotel on the Las Vegas Strip shot at a crowd of about 22,000 attending a country music festival below. Las Vegas Metropolitan Police Department Sheriff, Joseph Lombardo, said that in addition to at least 58 people being killed, at least were 515 injured. The shooter, 64-year old Stephen Paddock, was unknown to authorities, he said. Despite the ISIS terrorist group claiming responsibility for the attack, Paddock does not appear to have any connections with terrorist organizations, the FBI said.